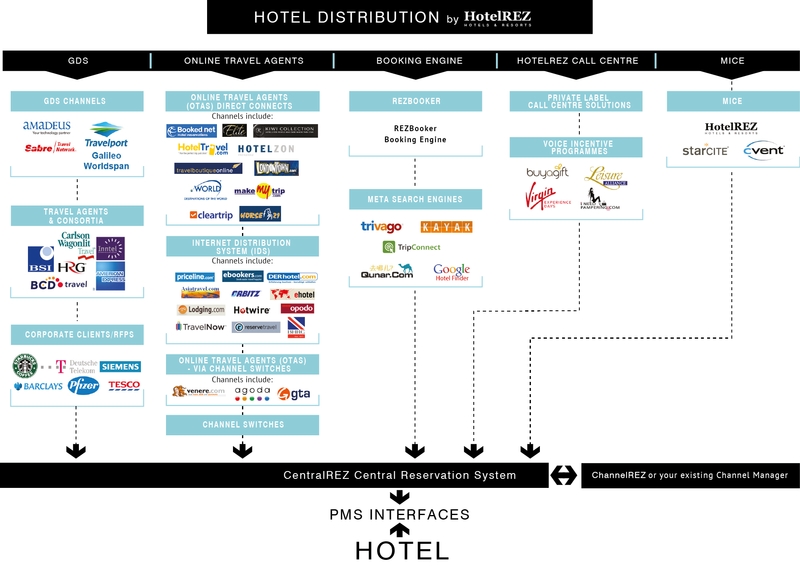 At the core of HotelREZ connectivity is CentralREZ an online hotel Central Reservation System (CRS) designed for hotels and hotel groups that demand an adaptable yet powerful way to manage all online distribution. From one real-time, easy to use web-based system, you can load and manage your rates and content and distribute them across a multitude of channels effortlessly. With one simple to use tool and one login, you can load and manage your rates and content. Updates can be made once and are then seamlessly distributed to the GDS and other channels as required. Rate and availability calendars enable you to quickly change prices for a specific day or a range of dates. Create and edit new rates and packages, allocate room types, rate plans and close-outs by channels. An online product that makes RFP completion fast and simple by storing all your property details and rate information in one place, allowing you to pre-populate the majority of fields on each RFP. CentralREZ Central Reservation System meets all international data security standards and is fully certified by the Payment Card Industry (PCI). HotelREZ Hotels & Resorts offers you flexible hotel distribution. You can choose the channels you wish to distribute through CentralREZ Central Reservation System, as well as manage rates and content per channel, enabling you to put in place specific strategies to optimise your hotel’s revenues. Gain access to over 500,000 travel agents, corporate and MICE bookers and millions of consumers.